Authors Emerald O'Brien and Jade Eby created this project to help those who need mental health care and support. In an effort to end the stigma surrounding mental health, their mission is to raise money and awareness for the cause by donating part of the profits of their books to mental health organizations, and sharing their personal stories as well as hearing yours. We ALL go through highs and lows in life. Times when we feel anxiety, sadness, confusion, anger, and numbness. Times when we don't want to feel at all and times when we can barely feel a thing, except to feel alone. Emerald and Jade's mental health initiative is a project developed to raise money and awareness for mental health and the professional resources that can provide the help we desperately need for friends, co-workers, family, and ourselves beginning in both Canada and the United States. Active Minds and The Canadian Mental Health Association. Buy a book and be part of the solution. 50% of the profits from these novels will be donated to Active Minds and The Canadian Mental Health Association, and a grand total will be announced at the end of each quarter, as well as proof of donation that can be found with the announcement of the total raised. November 2017 was our launch month, and we are thrilled to have made our first donations. In an effort to be as transparent as possible, Emerald and Jade will post proof of donations on their respective sites each quarter. Emerald's donations have gone to the Canadian Mental Health Association and Jade's have gone to Active Minds. The donation amounts have been rounded up and the following are emails in thanks for the joint support we have provided. Please visit Jade's half of the site for her donation information. We believe that creating conversations and sharing our personal experiences will help to end the stigma surrounding mental health. To hear more about the co-creator's personal stories regarding their mental health journey's, as well as why they are so passionate about this project, just click on their pictures. 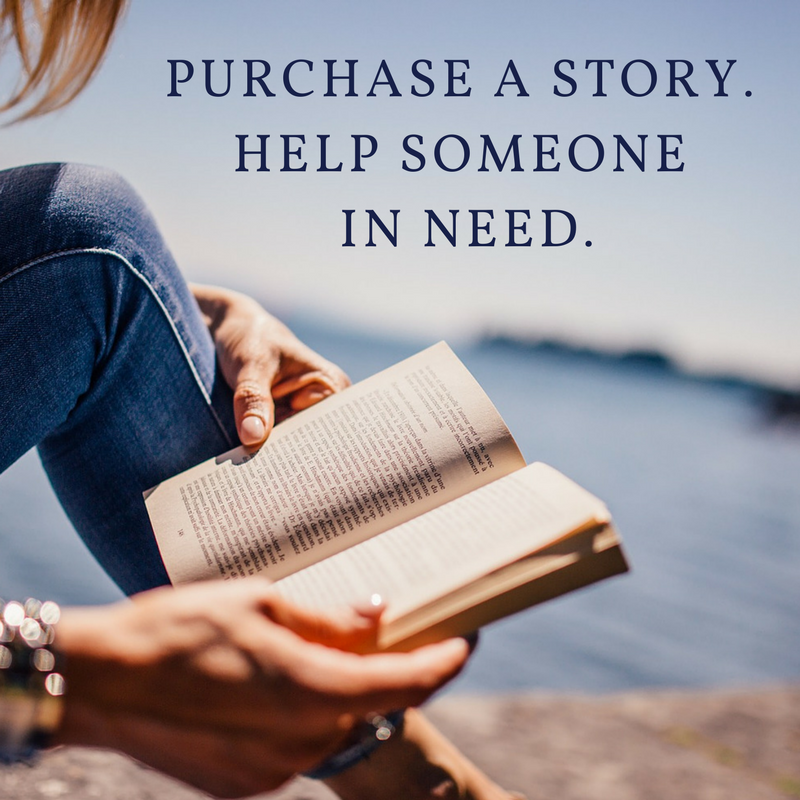 We don't just want to share our own stories (both literally, through our published fiction, and personal). We want to hear your stories of struggle and of hope. We encourage you to start a discussion with someone you trust and when you are ready and able, to share with us here so we can display some or all of your message for others to see. Let others know they are not alone by sharing your struggles. If you're able, help others with your message of hope. If you or someone you know needs help, please refer to these resources. We are not health care professionals, and these suggestions are meant to give you educational materials and resources. Thanks to author Karen Meadows for being an advocate for mental health care! You can read more about Karen at her website or her Facebook Page. Not only is Karen an advocate for mental health care, but she has written a very touching memoir about her personal experience with mental illness. You can find purchase links for Searching for Normal here. Are you an author who is passionate about ending the stigma and helping to provide better mental health care? We'd love to let people know you're an advocate for mental health care. Please contact Jade or Emerald through their website contact forms and have your proof of donation ready when they respond. You'll be featured right here on the site shortly after the initiatives November 1st launch. Coming soon. Please refer to the gray button above to share your story anonymously.